Everybody knows that Toronto is a huge city population-wise, but a lot of us forget just how big it is geographically too. For example, I forget all about the Toronto Islands all the time. That's unfortunate, because, for the sake of a few minutes and a cheap ferry ride, you can find yourself in another world. There's tons of stuff to do on the Islands, and during our summer staycation we were lucky enough to be able to try a few of them. 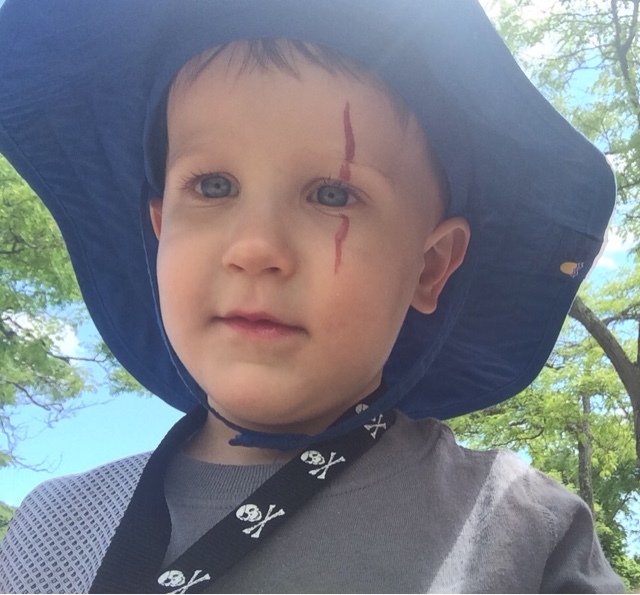 One of our favourites was the Pirate Life Adventure. 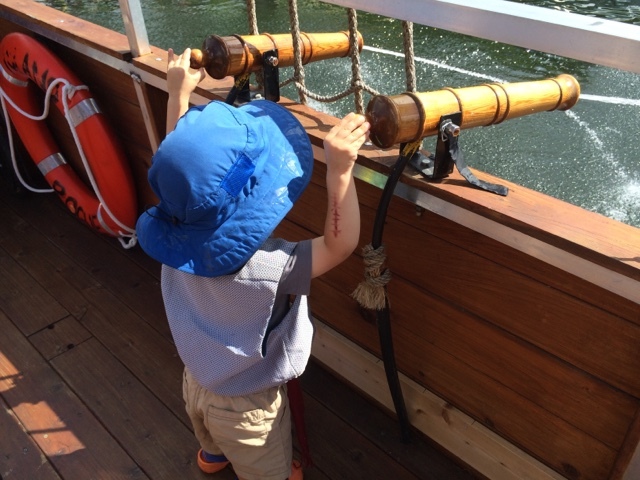 Geared to kids of all ages, Pirate Life lets the whole family get in on the adventure. It starts with everybody getting into costume. We knew M would be all over that, but we weren't quite sure how Little Cat Z would take it. He's a better sport than we give him credit for, and by the end of his session he was asking for extra touches to his make-up to round out his gnarly pirate look. Once on board, the young mateys swear the Pirate Oath before hitting the open sea. Errr, lake... With swashbuckling adventures and a chance to fire the cannons, a great time was had by all. 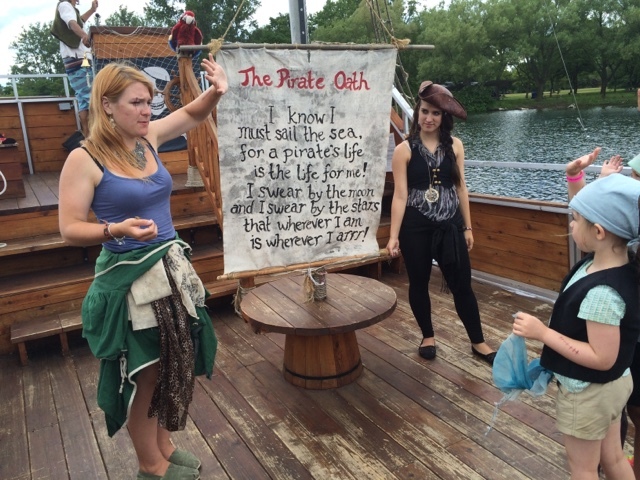 Pirate Life is still operating on the weekends for as long as the weather cooperates. They're currently running a contest for free tickets to one of the few remaining shows this year. If you're looking for a local adventure, it's a sure way to have a good time! Disclaimer: We received tickets for the purposes of writing this review. No other compensation was received. All opinions expressed are my own.